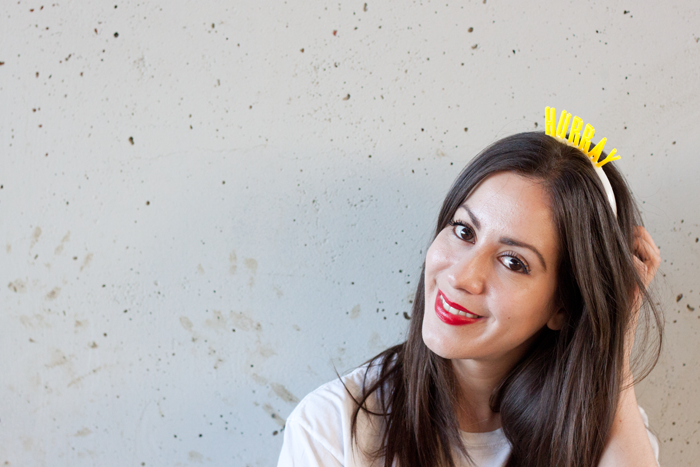 What do you do when your birthday falls on DIY Tuesday? 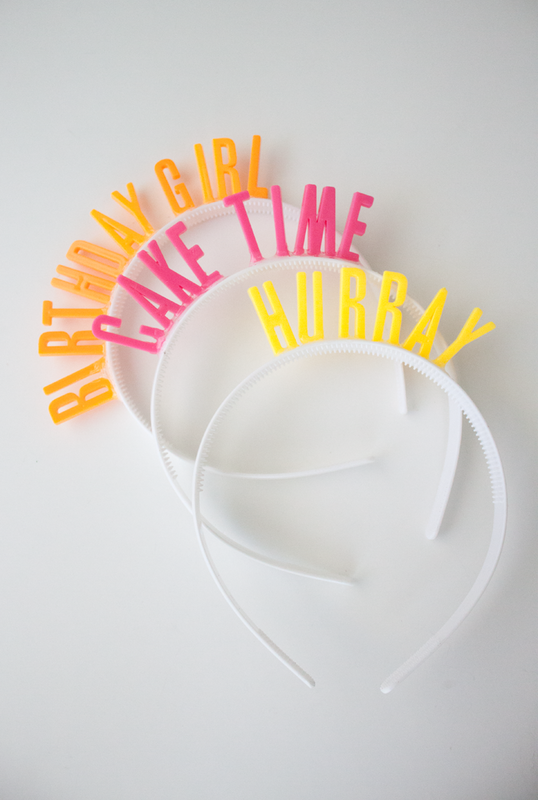 You guessed it friends, make celebratory headbands, of course! So grab your glue and plastic letters (everyone has those, right? 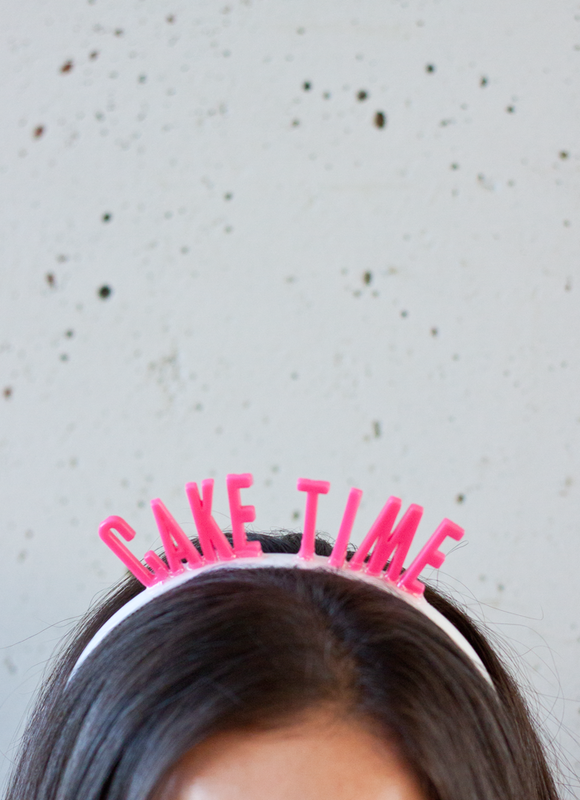 ), because it's cake time! 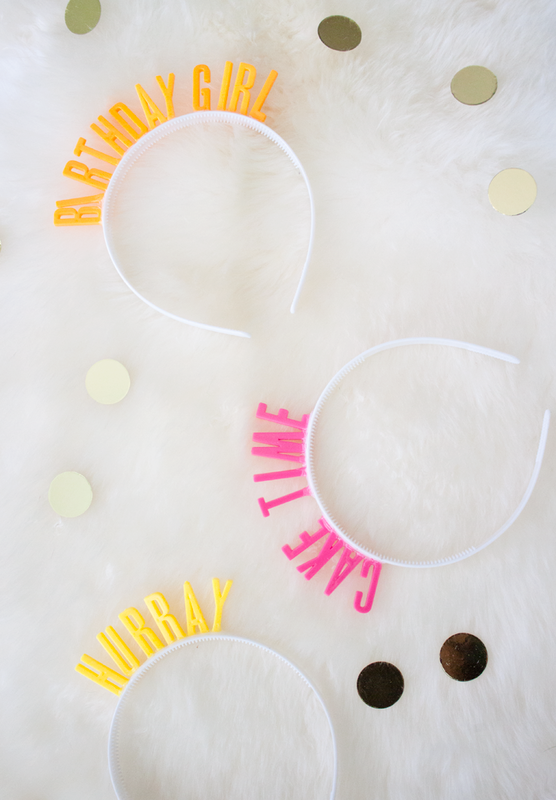 Start by mapping out where your letters will go on the headband so that everything is nice and evenly spaced out. 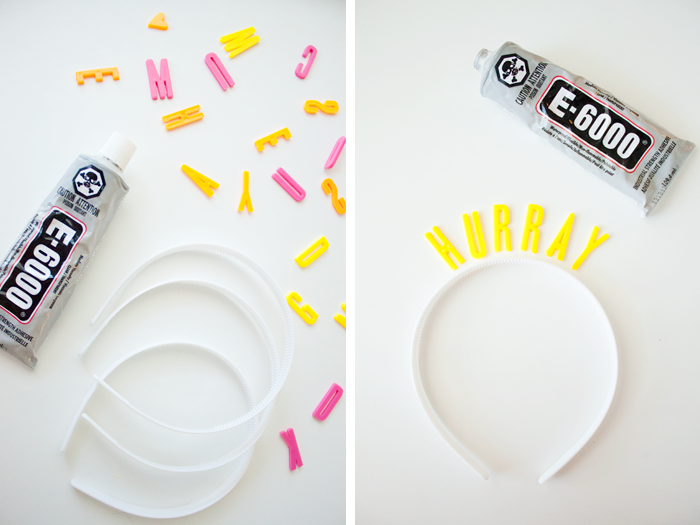 Using a generous amount of glue, press each letter down one-by-one until they set in place. The hardest part of this project is waiting for the letters to dry, especially the lightweight ones without bases (I'm talking about you, I's and T's), so be patient. After about an hour of gluing and drying, you're done! I would advise letting your headbands set overnight for best results, propping them up on something to keep them upright as they dry. My advise would be to check on the letters periodically during this time to correct any tipping letters (case in point: that pesky 'I' in 'Birthday Girl'). Oh man, soooo cute! Love this. love it!!!!! it's so cute. These are so cool! Thanks for the idea! How do these hold up during wearing? I'm thinking they would be so cute for our wedding reception, but am curious if the letters can stay on during dancing, etc.? Love it! Going to make for an upcoming 30th! So chic! 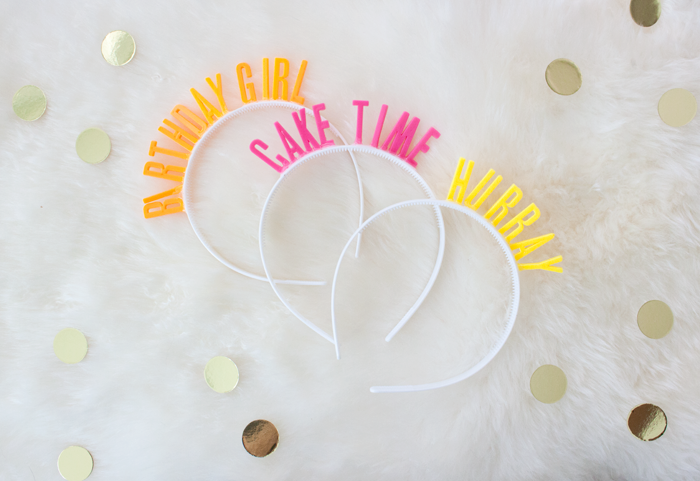 We are so making these for our Dirty Thirty celebrations!